I first cooked with buckwheat groats when I made (the best) recipe for vegetarian “bacon” from No Meat Athlete. 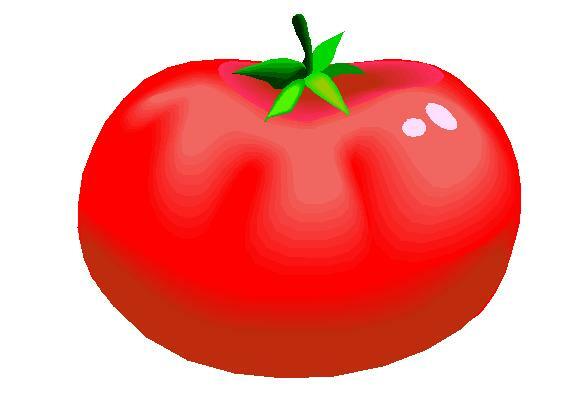 If you are a vegetarian you’ve got to try that recipe. Buckwheat is actually not wheat at all and is gluten-free. The groats look like little seeds. I buy mine from the bulk bins at Whole Foods or in the bulk section at Natural Grocers. 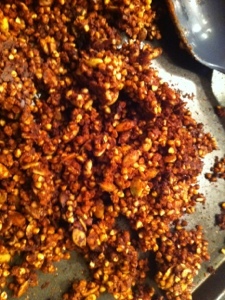 I hadn’t used buckwheat groats in anything else until I saw a recipe for Buckwheat Granola Clusters at Oh She Glows. I think it was the clusters that originally reeled me in. My granola never “clusters”. It’s delicious but not easy to snack on straight out of the jar since it’s in tiny pieces. I made quite a few changes (see notes below) and even overcooked it a little and it still turned out freaking fantastic. All three of us loved it including my toddler (I gave him pretty tiny pieces). It “clustered” nicely which made it easy to grab chunks out of the jar on my way through the kitchen and it had a really satisfying crunch. This photo is horrible so do yourself a favor and click over to OSG and to see her pictures. Preheat oven to 250 degrees F. In a large bowl mix first four (dry) ingredients. In a smaller bowl mix remaining wet ingredients and spices until well combined. Add wet to dry and stir until dry ingredients are coated. Spread in an even layer in a jelly roll pan and bake for 60-75 minutes or until browned by not burned. Stir once halfway through. I made the granola Friday night and then served it Saturday morning for breakfast over a mango-cashew mixture I got out of Superfood Kitchen. Yes I still have that book. It’s actually overdue and I need to get it back to the library! Here’s the parfait. I got out the fancy dishes and everything. But back to the second round of granola. It turned out excellent! I made sure not to burn it this time. You can’t really see the buckwheat groats in the picture but they add a nice crunch. 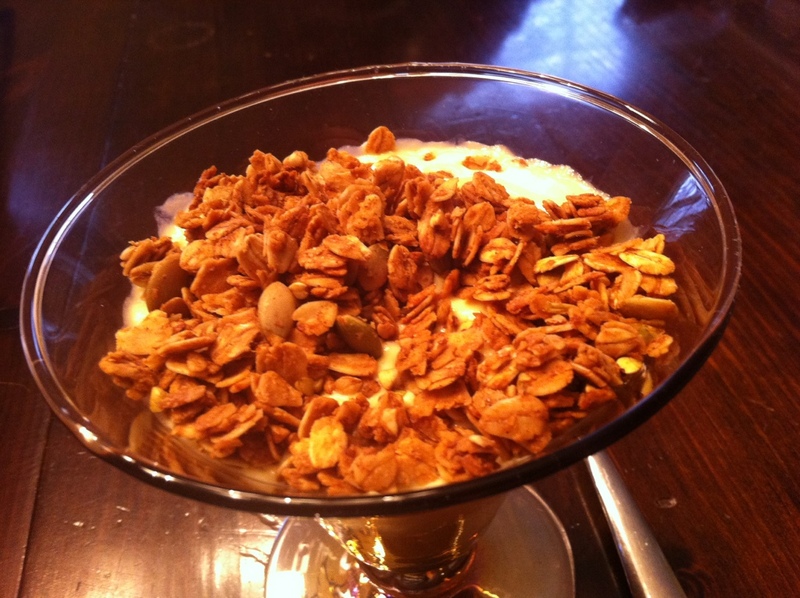 I will definitely make granola this way again. I like that I have a good recipe without refined sugar now. I’d love to explore more recipes that use buckwheat. If you have any ideas let me know!